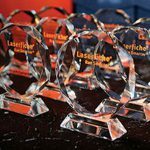 Laserfiche—the leading global provider of enterprise content management software—has been named a gold winner in the Most Customer-Friendly Company of the Year category for the Best in Biz Awards, the only independent business awards program judged each year by prominent editors and reporters from top-tier publications in North America. Laserfiche was recognized based on its demonstrated customer satisfaction and commitment to providing customers with superior solutions and support. With customers in nearly every industry including government, education, financial services, manufacturing and health care, Laserfiche offers solutions tailored to organizations’ needs, and the expertise and personalized service that drive customer success. Laserfiche also provides in-person and online training, and educational and support resources such as user groups, workshops and webinars throughout the year. 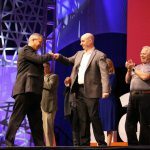 Laserfiche also hosts the annual Laserfiche Empower Conference, the premier global conference and largest networking event for the ECM industry. Since 2011, winners of Best in Biz Awards have been determined based on scoring from independent judging panels composed of prominent editors and reporters from some of the most respected newspapers, TV outlets, and business, consumer, technology and trade publications in North America. The 2017 panel included judges from Accounting Today, AdWeek, Associated Press, Business News Daily, Entrepreneur, eWeek, Forbes, Harvard Business Review, Healthcare Innovation News, Inc., Investment Advisor Magazine, Security Products Magazine, Wired and Yahoo Tech. This year, the program received more than 650 entries from an impressive array of public and private companies of all sizes and from a variety of industries and geographic regions in the U.S. and Canada. For a full list of gold, silver and bronze winners in Best in Biz Awards 2017, visit bestinbizawards.com/2017-winners. Since 2011, Best in Biz Awards, Inc. has made its mark as the only independent business awards program judged each year by a who’s who of prominent reporters and editors from top-tier publications from North America and around the world. Best in Biz Awards honors are conferred in two separate programs: North America and International, and in 65 categories, including company, team, executive, product, and PR and media. For more information, visit: https://www.bestinbizawards.com.